The iPad is one heck of a gaming device. With more developers bringing their killer games to the App Store, iPad owners have plenty of titles to choose from. 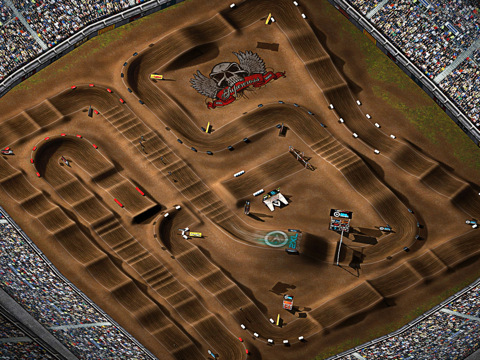 If you are into racing games, you shouldn’t miss 2XL Supercross HD. It is a stunning bike racing game that brings killer graphics and addictive game play to your tablet. 2XL Supercross HD has great graphics and is easy to pick up. The game has 3 modes of play. It has a multiplayer mode that supports 4 players over WiFi and 2 players over Bluetooth. Players get to race against up to 8 bikes. A number of cool bikes are available for them to choose from. The camera views offered make playing the game a whole lot of fun. 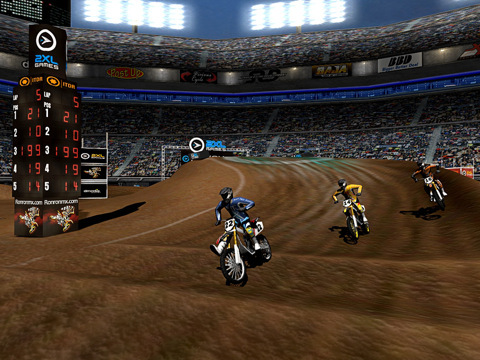 2XL Supercross HD offers multiple difficult levels. It has a tilt steering interface. I found the controls to be easy to get a handle on (you get 8 preset control schemes). The graphics are decent. The game does not have any lags and did not crash on us during our test. It works on your iPhone too. If you are into bike racing games such as Motocross Madness, you are going to love this game. It looks good and is quite addictive.